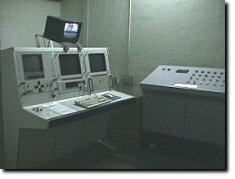 Microprocessor controlled 320 KV constant potential X-Ray system. Industrial X-Ray image - intensifier system for direct fluoroscopic inspection.Effective viewing area: 23 cm, 17 cm or 13 cm, selectable. Universal system suitable for both High and Low absorbant materials. Compact design with basic lens, integrated generator and camera support. The aluminium membrane of the entrance window is extremely thin, resulting in low X-Ray absorption and scatter, giving an image with higher contrast. The image intensifier is supplied with housing for operation in X-Ray room / Cabinets only. Operates in conjuction with an automated handling and conveying system for inspection of components. The image intensifier tube converts the X-Ray photons into a bright, high contrast image. Good resolution and a high conversion factor ensures very good detection of details.